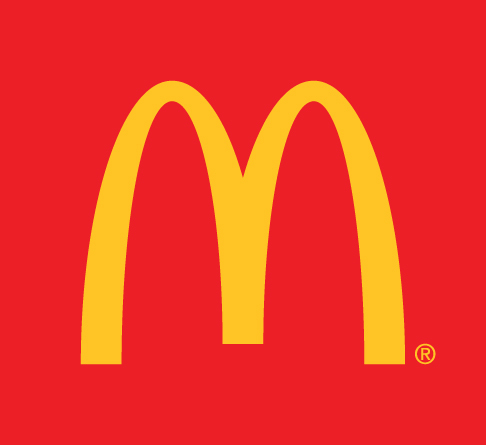 Blues skipper Peter Nevill made his second century in McDonald's NSW Premier Cricket this season on the weekend. 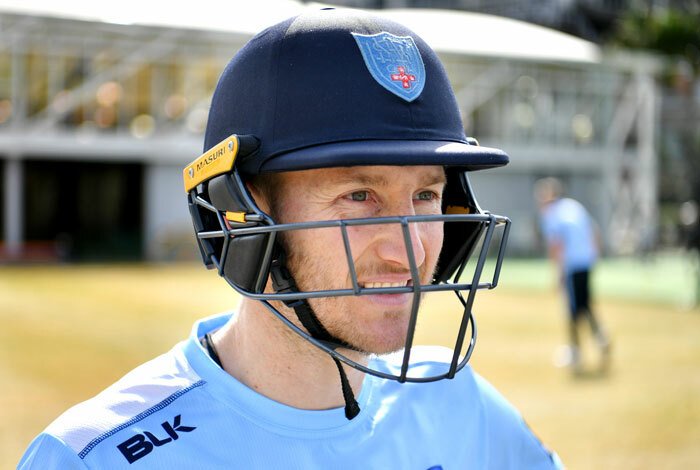 New South Wales Blues captain Peter Nevill has hit his second century of the McDonald’s NSW Premier Cricket season for Eastern Suburbs during round 12 on the weekend. Nevill made an unbeaten 112 from 199 balls at the top of the order for Easts in an authoritative eight-wicket first innings victory over Western Suburbs at Waverley Oval. The Blues skipper hit five fours and cleared the boundary twice during his century across Saturday and Sunday. He shared an unbeaten third-wicket partnership worth 128 with Angus Robson (45 not out) to get the Dolphins over the line. Nevill now has a total of 343 runs from six visits to the crease, at an average of 68.6, this season for Easts. It was his 12th First Grade century. The first innings victory was set up by impressive bowling performances from Blues quick Henry Thornton (4-22) and fellow paceman George Furrer (4-28). Western Suburbs was bowled out for 181 and, in reply, Easts finished 2/184. Across the 10 matches, the bowlers dominated on Saturday, when no team made 200. It was a particularly momentous day for Sydney fast bowler, Nic Bills, who claimed his 350th First Grade wicket against Hawkesbury. The 26-year-old former Blues paceman needed two wickets to reach the milestone and returned 5-55 in the first innings of an otherwise disappointing Saturday for his side. Sydney was bundled out for just 90 at Drummoyne Oval. It also dismissed the Hawks for 145 on the first day and recovered on Sunday to save the match. Bills went past 350 wickets to 353 scalps at 23. His five-wicket haul on Saturday was his 16th in First Grade. Sydney declared at 7/275 in the second innings highlighted by a sixth First Grade century to Matthew Rodgers (102) and a valuable 99-run partnership with Stephen Eskinazi (61). Hawkesbury finished the match 3/93. Rodgers made 152 runs for the match after scoring more than half the runs in the first innings. He made 50 from 53 balls. In the first innings, the Lawrence brothers wreaked havoc for the Sydney batting order. Opening bowler Chris Lawrence claimed 6-45 and, his brother Pat (3-28). They became the first brothers since Rob and Glenn Aitken to collect nine wickets in an innings. Rob Aitken and his brother Glenn claimed 5-47 and 4-16 respectively for North Sydney against Manly-Warringah in September, 2010. Chris Lawrence finished with match figures of 8-96 against Sydney. Penrith captain Ryan Smith was another fast bowler to post a career best over the weekend. He claimed 7-59 from 18.1 overs during the first innings of the two-wicket outright defeat to ladder leaders Sydney University. Smith finished the match with 10-103. Sydney University quick Joe Kershaw produced his maiden five-wicket haul in Premier Cricket during the first innings. Kershaw claimed 6-45 from 14 overs followed by 3-38 in the second innings of the top of the table match. Penrith was bowled out for 121 on Saturday and, in reply, Sydney University was dismissed for 146 early the next day on a bowler-friendly pitch. Seamer Dugald Holloway led the way with the ball for the students in the second innings. He claimed 5-44 from 15 overs in another comprehensive bowling display that saw Penrith bowled out for 155. In a battle for outright victory, Sydney University was 4-43 at one stage, but a quick-fire 65 from 47 balls to Ryan McElduff steered the students to calmer waters. Sydney University then lost another 4/6, once McElduff departed with the score on 123, but found a way to victory finishing at 8/131. The outright win put Sydney University 12 points clear of UTS North Sydney at the top of the table. The Bears secured their seventh straight victory with a first innings defeat over UNSW. The wicketkeepers starred across the weekend, particularly in the match between Fairfield-Liverpool and Campbelltown-Camden, at Raby Oval No. 1. Five catches and one stumping to the Campbelltown-Camden gloveman, Oliver Robinson, helped the home side dismiss Fairfield-Liverpool for 187. Luke Courtney (4-59) collected best figures for the Ghosts. In reply, Fairfield-Liverpool keeper Raveesh Srivastrava matched the effort of Robinson with five catches himself. The Lions dismissed Campbelltown-Camden for 175 from 59.4 overs. Blues off-spinning allrounder Param Uppal claimed the excellent figures of 4-25 from 20.4 overs in the 12-run first innings win for Fairfield-Liverpool. Mosman keeper Ashley Doolan was another gloveman to claim six dismissals in an innings during an eight-wicket outright win for the Whales against Blacktown. Doolan completed five catches and one stumping in the first innings and followed that performance with two catches in the second. Mosman registered their first outright win of the season at Allan Border Oval. The hosts dismissed Blacktown for 186 and 103 in each innings. Mosman made 203 and 2/87 to seal the win. Mosman opening bowler Jordan Thompson returned best figures for the match in the second innings with 4-32. Northern District defeated St George narrowly on the first innings at Hurstville Oval. Oliver Hing became the third keeper across the weekend to claim five catches and one stumping in an innings behind the stumps for Northern District. His feats supported a good bowling effort that dismissed the Saints for 266 from 97.3 overs. St George was 3/10 early in their innings after it was sent in to bat, but half-centuries to Luke Bartier (64) and lower-order batsman Peter Francis (63 not out) led a recovery for the home side. English County seam bowler Chris Wright claimed 4-84 for the visitors. In reply, Northern District stumbled to 8/179 before No. 9 Chad Soper (67 not out) and No. 10 Wright (31) combined for a crucial 83-run ninth-wicket stand to get the visitors to within seven of victory. Northern District clung on with Soper hitting the winning runs. The victors finished 9/269. Opening batsman Tom Felton also made 67 from 114 balls for Northern District. North Sydney captain Thomas Jagot played the anchor role to secure first innings points for his club against UNSW. He fell five short of his fourth century of the season and third in four weeks. Jagot took his season’s tally to 880 runs at 67.69 and continued his imperious recent form. He has not scored less than 91 since the Christmas break. Wicketkeeper James Crosthwaite claimed four catches in an innings for the third time in the last four rounds. Hayden McLean returned 4-63 for the Bumblebees. Ahillen Beadle made an unbeaten 101 from 118 balls for Manly-Warringah in the second innings against Gordon to take him past 7,500 runs to 7,577 at 32.24. The century to Beadle ensured Manly saved the match at Manly Oval. After the hosts won the toss and batted first, they were dismissed for 123 in the 76th over and, in reply Gordon declared at 4/125 early on Sunday in an attempt for the outright win. Manly finished 6/196. Gordon spinner Scott O’Brien claimed 4-77 in the second innings. After 10 half-centuries in the top grade, Parramatta opening batsman Tim Ward made his maiden hundred in Premier Cricket. He scored 104 not out from 201 balls in a convincing first innings win for the Two Blues over Sutherland at Glenn McGrath Oval. Ward also shared an unbeaten 119-run eighth-wicket partnership with keeper-batter Liam O’Farrell (58 not out) to steer Parramatta from 7/114 to 7/233. Sutherland likewise found itself deep in the mire after it was asked to bat first at home. Luke Dempsey (5-54) rattled the top order of the hosts who tumbled to be 8/80. It was the first five-wicket haul for Dempsey in First Grade. However, it was two of the unlikeliest of batsmen that would lead the revival to a final total of 178. Fast bowler Jake Wilson (51) and fellow speedster Tom Pinson (42) made valuable contributions down the order for Sutherland. It was the highest First Grade score and only fifty at that level for No. 10 Wilson in his 161st match. His previous best was 48 not out. Pinson also posted the highest score of his 74-match career in Premier Cricket dating back to the 2013/14 season. Ben Martin joined Dempsey as a multiple wicket taker with 4-57 for Parramatta. Blues leg-spinner Dan Fallins claimed 4-68 from 22 overs in the loss for Sutherland. Parramatta finished 7/233. In the other match completed over the weekend, Bankstown drew with Randwick Petersham at Bankstown Oval. Randwick Petersham won the toss and batted first and was in trouble at 7/152. However, a 146-run eighth-wicket partnership between Dylan Hunter (80 not out) and veteran seamer Adam Semple (65) rescued the visitors and ensured they posted a competitive total of 8/298 declared. In reply, Bankstown made 6/295. First drop Nick Carruthers made 92 from 90 for the hosts. It was his 21st half-century in First Grade for Carruthers and is yet to make his debut hundred. The late Bob Aitken and Cameron Guthrie are the only other two batsmen to have scored the same number of half-centuries without a century in Premier Cricket. Sydney University 146 (R McElduff 43 J Kershaw 24 R Smith 7-59) and 8-131 (R McElduff 65 B Trevor-Jones 26 H Railz 3-23 R Smith 3-44) bt Penrith 121 (B Atherton 46 R Smith 25 J Kershaw 6-45) and 155 (B Atherton 39 B Williams 29 T Sargeant 23 D Holloway 5-44 J Kershaw 3-38) outright at University Oval. Sydney University 61 UTS North Sydney 49 Penrith 47 Sydney 44 Parramatta 43 Gordon 43 Bankstown 38 Eastern Suburbs 38 UNSW 35 Mosman 35 Western Suburbs 34 Northern District 32 Randwick Petersham 31 Sutherland 28 Fairfield-Liverpool 28 Blacktown 27 St George 26 Campbelltown-Camden 26 Hawkesbury 26 Manly-Warringah 19.